CEO disagreed on agency's tie-up with Spark Foundry. Blue 449’s Simon Davis has abruptly resigned in a shock move after nine years as UK chief executive and 13 years at the agency. Multiple sources said Davis disagreed with the way parent company Publicis Media has handled its decision to make Blue 449 part of Spark Foundry’s global network in March. 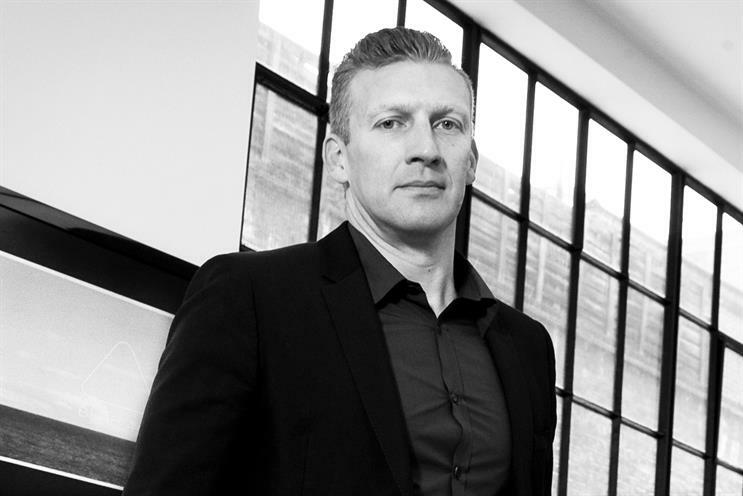 Publicis Media confirmed Davis has left the business and said Lindsay Turner, managing director of Blue 449, will replace him. Davis, a respected figure who was named one of the top 10 media agency chiefs in the UK by Campaign in December, would not comment. His resignation is awkward for Publicis Media, which promoted him just five weeks ago by giving him an additional role as UK chief executive of sister media agency Spark Foundry as part of the restructuring. Publicis Media said at the time that it remained "committed to our strong agency brands" but it appears Davis has not been convinced that Blue 449 can keep its status as a standalone entity in the UK. French parent company Publicis Groupe has adopted a strategy called "Power of one", which has meant increasing centralisation and the launch of group-wide, specialist practices that some observers believe has reduced some of the distinctiveness of the agency brands. All of Publicis Media’s UK agencies, which also include Zenith, Starcom, Digitas and Performics, recently moved from five offices into one London headquarters in White City. Sue Frogley, chief executive of Publicis Media UK, said: "While I respect Simon’s decision to leave, I will miss his wise counsel and his acute business acumen. He has achieved so much at Blue 449 and I wish him the very best in his future endeavours." His exit means the two most senior leaders of Blue 449 in London have departed in the space of a month, after Phil Georgiadis, the chairman, stepped down at the start of March. Georgiadis and Christine Walker co-founded Walker Media as an independent agency with backing from M&C Saatchi in 1998. Publicis Media bought 75% of Walker Media in 2013 but the agency, which later rebranded as Blue 449, retained an independent spirit because M&C Saatchi still held a minority stake until earlier this year. In February, Publicis Media spent £25m to take full control of Blue 449 in a deal that valued the agency at £100m – double the valuation in 2013. That move paved the way for Publicis Media to shut down Blue 449 as a global network and move its staff and assets into Spark Foundry in all markets except the UK, France and the US. Although Blue 449 is a much larger agency than Spark Foundry in the UK, it struggled to become an international network. Turner said she was "thrilled" to take on Davis’ dual roles as UK chief executive of Blue 449 and Spark Foundry. Publicis Media said Turner "will work with both brands’ management teams to ensure greater collaboration between the two brands". Turner said: "The two agencies share an infectious entrepreneurial spirit and I believe will immediately deliver deeper capability to be the best possible business partner for clients to help them unlock new opportunities for growth." She started her career at Mindshare in 2004 and has worked at Blue 449 since 2011. "On a personal note, my progression shows Publicis Media’s commitment to fostering female talent within the organisation and I intend to continue to champion and further equality and diversity in the workplace," Turner said. Frogley said: "Lindsay is a proven operator who is a popular figure within the business and is greatly respected by colleagues and clients alike. I am looking forward to working more closely with Lindsay and her senior management team in leading our two agencies into a new era of success." A source close to the company played down a suggestion that Blue 449 might be fully folded into Spark Foundry in the near future. Georgiadis, who formally left Publicis Media at the end of March, paid tribute to Davis’ contribution to Walker Media and Blue 449. "He made my life easy – well, most of the time – as he is never short of independent thinking and challenge," Georgiadis said. "I am incredibly grateful to him for his energy and spirit and look forward to seeing what he decides to do next."